Some firms may have this same depth, yet very few offer a consultative proactive approach beyond the nuts and bolts of accounting and business tax return preparation. 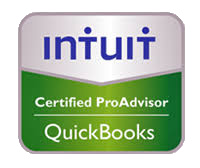 Although we can certainly help you with accounting and Quickbooks (we are ProAdvisors) we are focused on consultation, planning and tax return preparation, and therefore we have partnered with Mock Consulting & Accounting to provide these services to you if needed. We have the experience of a bigger city firm without the stuffiness. We are approachable. Edwards CPA Group will be your advocate by putting you in a position to make informed decisions by leveraging our professional network of knowledgeable CPAs, corporate and estate planning attorneys, and Certified Financial Planners to work in concert for you. One stop shop. Plus, our firm will be your point of contact as you travel through the cycles of your personal and business lives. Many accountants and business consultants are only compliance oriented, and while government and IRS compliance is critical, being proactive is equally important. Outside of typical business services, consultation and tax preparation, we have focused on three niche competencies for our group of CPA’s and business advisors. We protect the fortress by not doing everything, but everything we do, we do very well. We also leave room for the individual tax client who does not own a business but has complex tax issues needing expertise and wealth management. In general our client base is comprised of consultants, engineers, financial advisors, physical therapists, chiropractors, doctors, surgeons, nurse anesthetists, insurance agents, veterinarians, online retailers, real estate agents, and good old fashioned widget makers, among several others. We are not salespeople; we are consultants. We are not putting lipstick on a pig expecting you to love it. Our job remains being professionally detached, giving you information and letting you decide. We select our clients on two important criteria. First, we expect our clients to be open, honest and responsive in communication. Second, we prefer to work with clients who view our partnership as a collaboration, where our challenges and successes are shared. Unlike transactional relationships, we’d rather work with you than for you. Having said that, we understand some people just want a transactional ‘latte’ and don’t want to get too involved with steaming the milk- that is OK too. Let us work together to develop and implement a proactive yet flexible plan for your future! 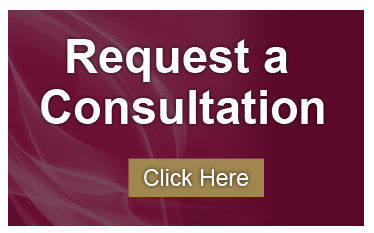 Thank you for visiting… Edwards CPA Group, P.C.